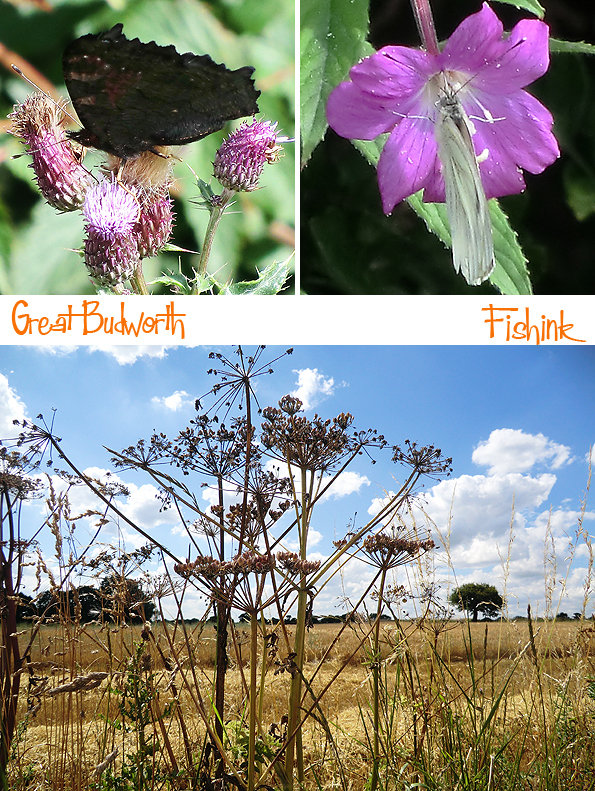 It’s summertime and the last 2 weeks have been glorious (yes, before the rain came), sunshine every day and lots of great walking in the local area. 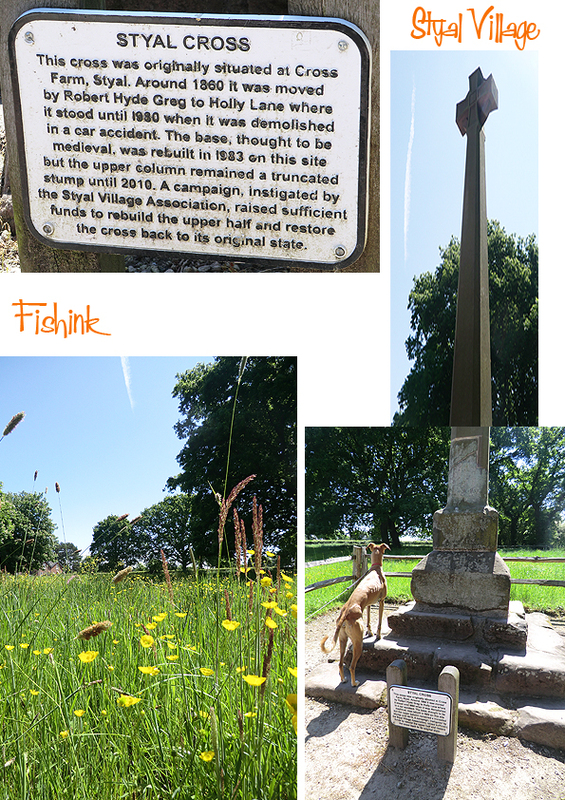 With a billing of the most picturesque village in Cheshire.. and that’s a high bar to set!.. 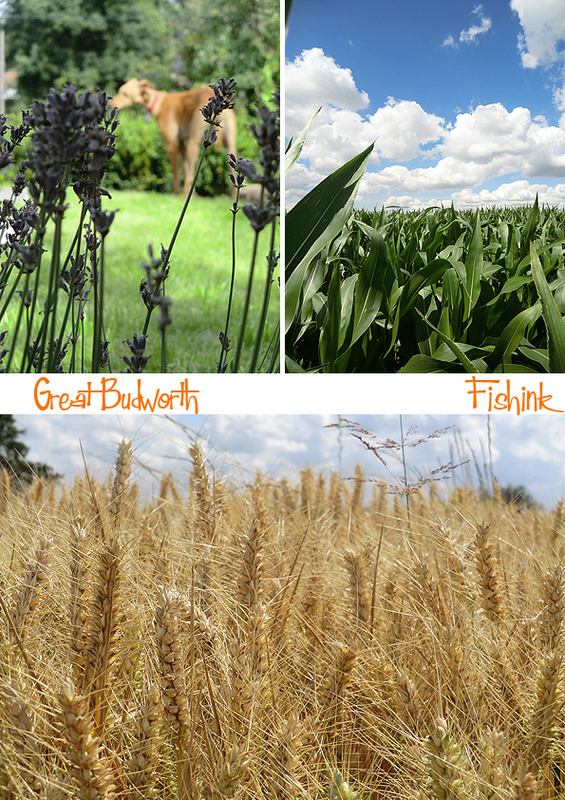 Great Budworth, is a must to call in at, should you be in the area. and there’s more on the history of the place here. 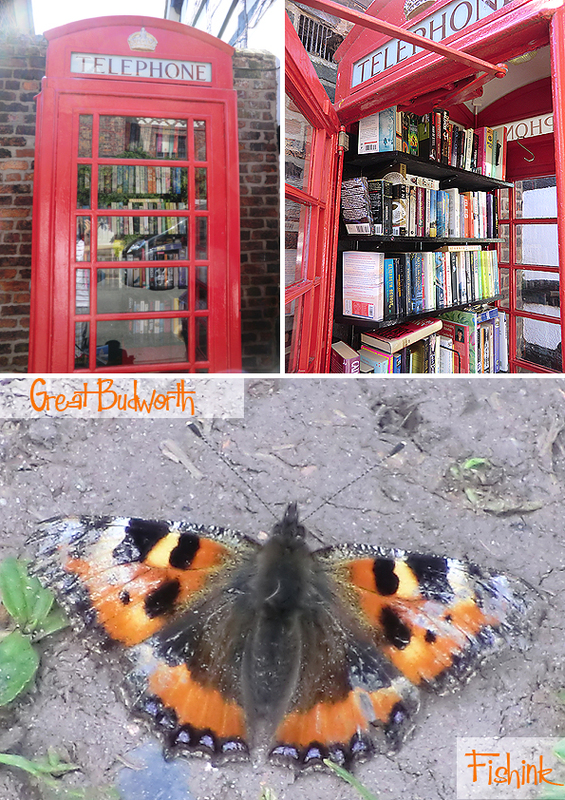 I do like their converted phonebox / book-swop shop. What a fab idea. 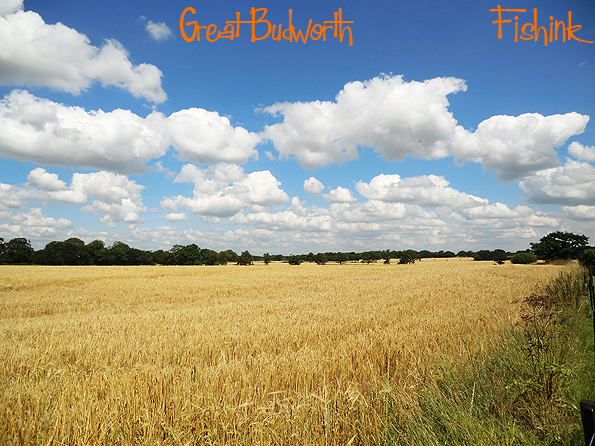 We set off for a walk around some of the local countryside to explore the area again. 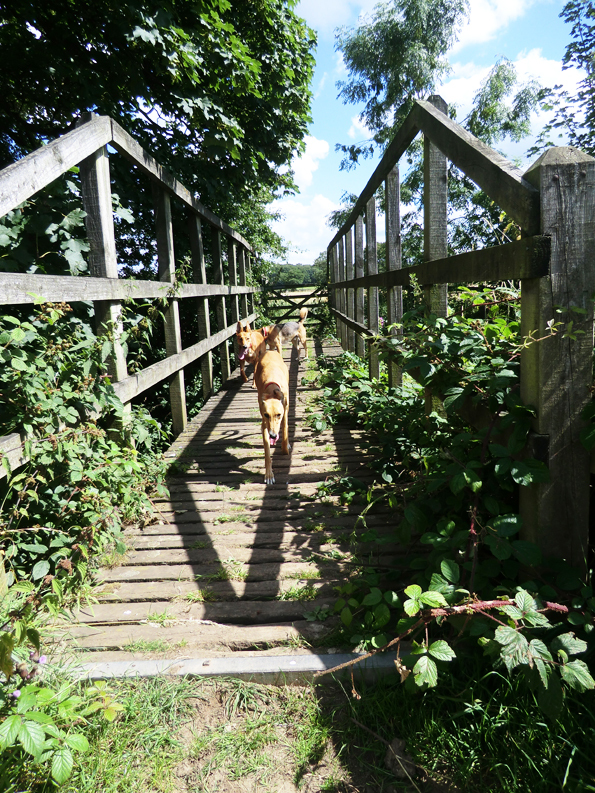 The scenery and fields are beautiful, even these hot hounds thought so. This just sums up how perfect the day was (sighs). 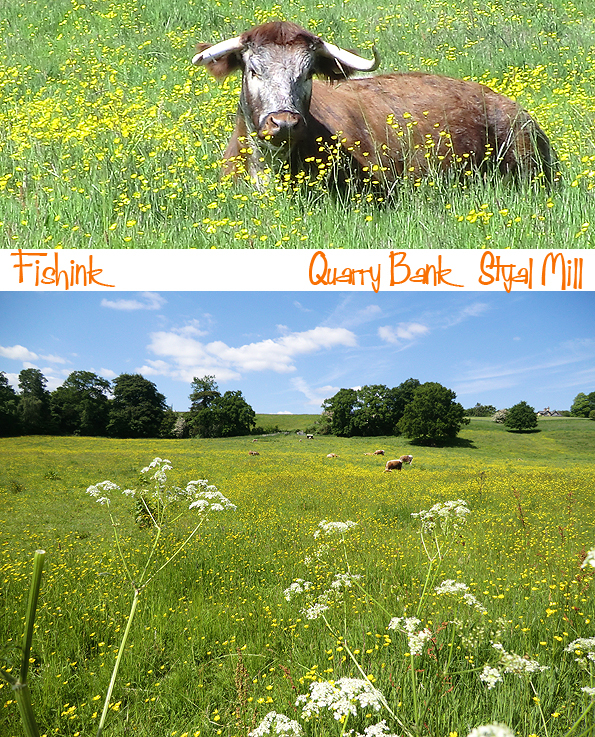 The British countryside at it’s best. 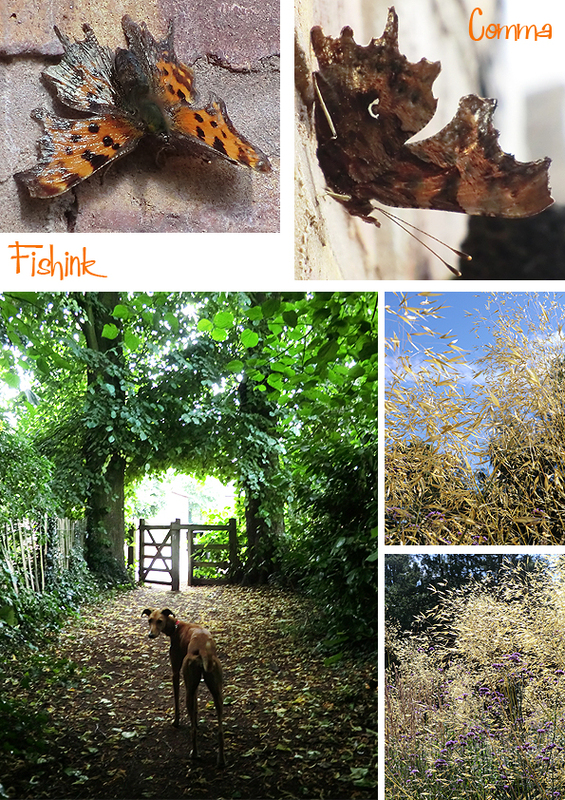 Other snippets include seeing this Comma butterfly. (I had to look it up) here. When I first saw it with it’s wings closed, I thought it was a moth, but then it sun bathed and I knew it wasn’t. 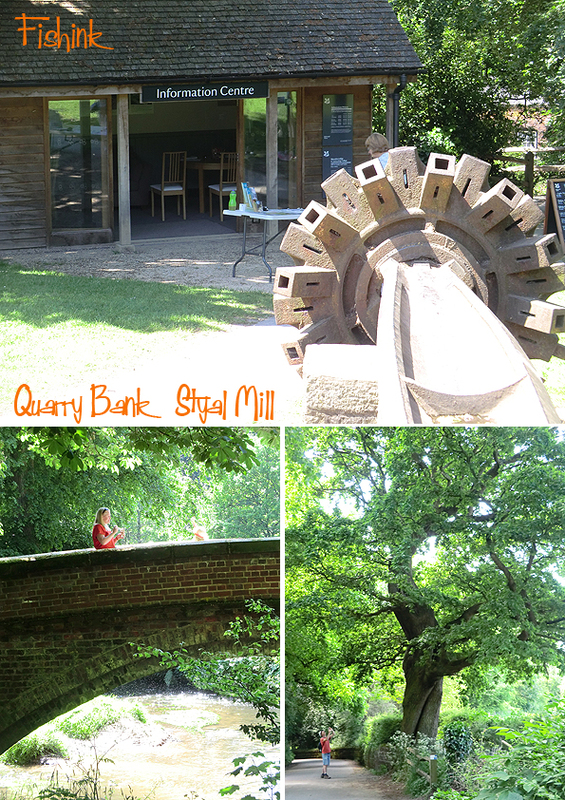 Another recent walk was to Quarry Bank in Styal, Cheshire. The village is very typically ‘rural English’. Quaint, pretty and likely to end up featured on the set of some BBC period drama, if it hasn’t been already ! 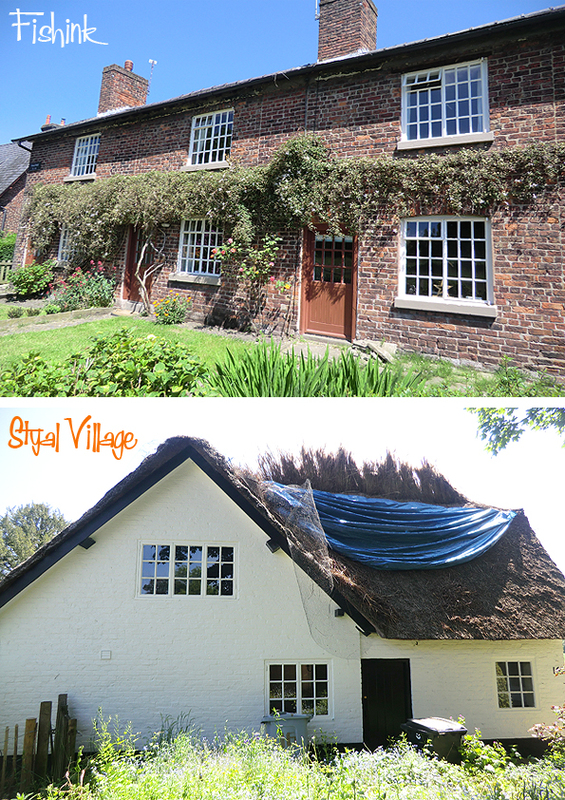 They were working on re-thatching the roofs of some of the cottages. Great to see these traditions are still maintained, yet alone that you can find the skilled labour to do the job well too. Look at this beautiful meadow full of buttercups, a real sign of summertime. Before the mill was built, Styal village was a small collection of barns and cottages whose inhabitants worked on the surrounding land. 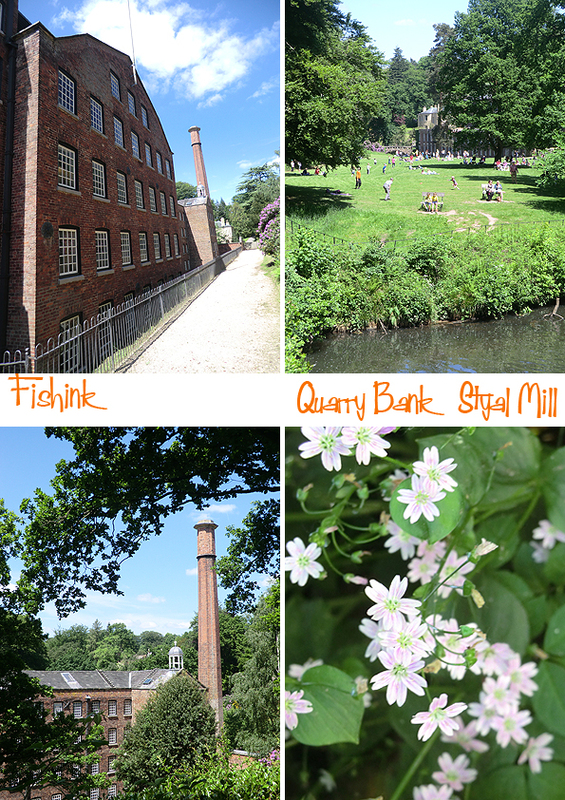 In 1784, the valley of the river Bollin was chosen by Samuel Greg as the site for Quarry Bank Mill. As the mill expanded, many of the original farm buildings were converted into houses with purpose-built Oak Cottages added in the 1820s. This early industrial community included a school, shop, bakery, two churches and many of the villages even had their own allotments. in 1939, Alexander Greg gave the estate to the National Trust to be cared for and for future generations to enjoy. The textile mill is one of the best preserved of the Industrial Revolution and is now a museum showing how the cotton industry worked. I kept getting glimpses of old technology, lovely bridges and tall, tall trees. 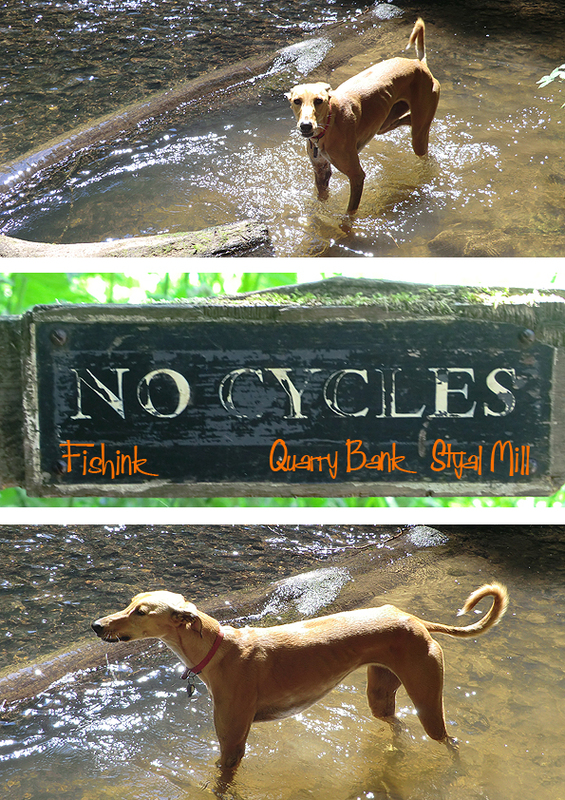 Boo had to cool off a few times with a river paddle, just as well she didn’t bring her bike! The walking route towards the airport, I feel, is the most beautiful, in terms of views, environment and the different experiences you get being surrounded by nature. Always so much to see as you wander along. Even the cows were too hot. 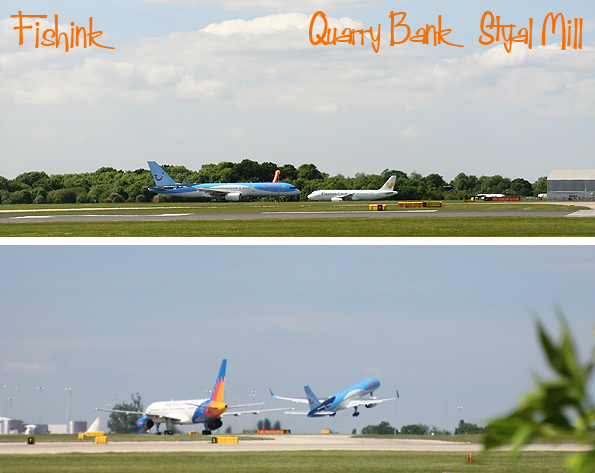 Something for everyone, hope you liked our recent travels. Where have you been to lately that you’ve really enjoyed ? My pleasure, always a lovely walk at Quarry Bank. I love anything that reminds me of ‘Lark Rise To Candleford’ and ‘The Country Diary Of An Edwardian Lady’–I love those BBC period dramas! Beautiful scenery, interesting how far along the wheat is, looks like it’s ready to be combined. Cows scare me, they’re huge and they just stand and stare. Nice walk. Boo was looking all sleek, elegant and rather Royal. I was up to a local lake yesterday, sat in the shade and read about the American Pioneer’s westward expansion. 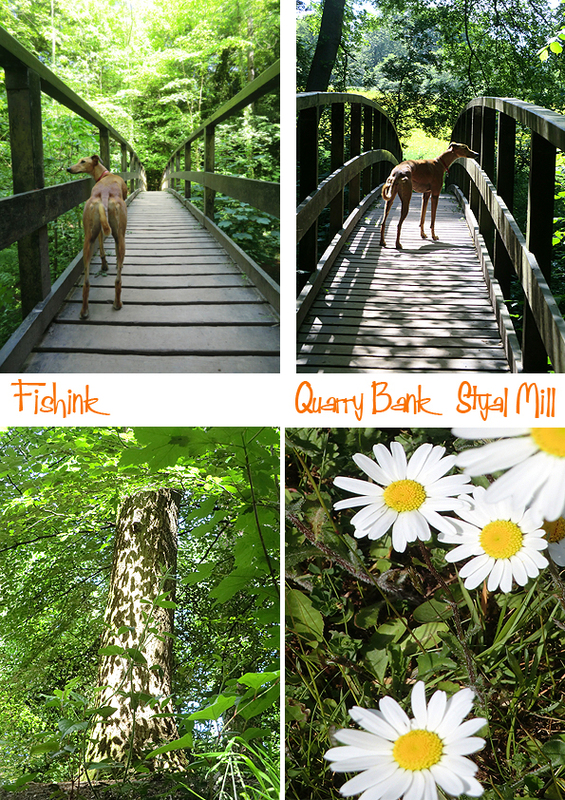 Very nice of you to share that lovely day with us; especially the pictures “Dog in Stream” and “Ancient Oak”! So glad you enjoyed them enough to tell me : ) Have a great day. Well spotted, I knew the BBC would have been here before lol Thanks for the information. 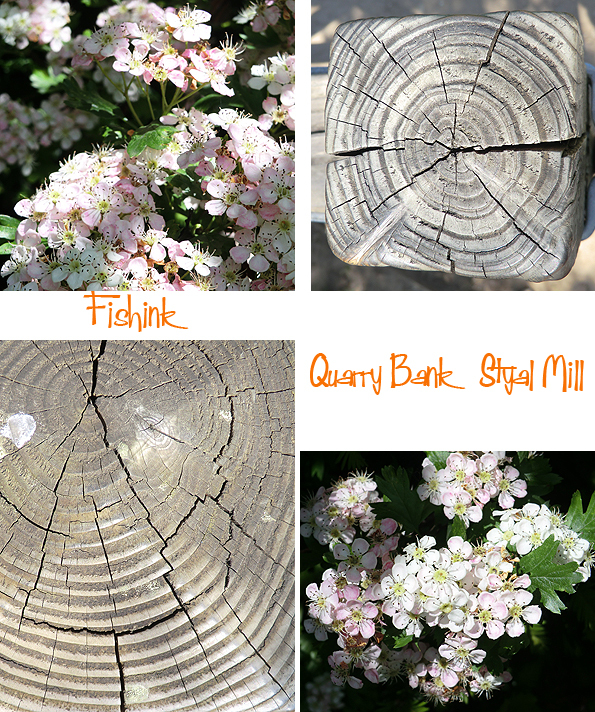 A nice variety from art inspiration to history and nature!